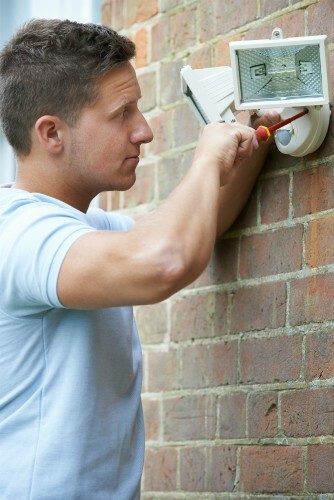 The installation of a home security system probably offers you peace of mind when you are asleep or away from home. But you may not like the cost. If you are looking at typical security system, installation fees can run around $99, while equipment costs range from $600 – $1,200. And while some companies will offer their equipment and installation for free, they make their money through the monthly fees. This can equal $30 a month ($360 a year). There are other costs to consider, too, such as the electricity to power your security system or any fees your city may charge to account for false-alarm police calls. 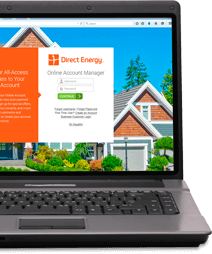 If a potentially expensive home security system isn't in your budget, there are less expensive options – specifically, improving your security lighting. For example, an standard outdoor fixture with a 15-watt, outdoor-grade LED bulb would cost less than $5 a year to operate, even if you were to keep it on for 3,000 hours a year. Lighting is enough of a comparative bargain that you can install multiple fixtures around your home and still save money. There are signs you can look for yourself – without needing to call a professional. If you see visible sparks when plugging in or unplugging electronics, or if appliances frequently trip the circuit breaker, a failing outlet could be the culprit. If you find outlets that are loose or wobble in the wall, you should tighten them up at a minimum, but consider replacing them (especially if you know they're old). Exterior lighting should illuminate areas around doors, windows, and hard-to-see spots. This makes it easy to flip on your light(s) for a good view of whatever made that strange noise in the back yard. If you want exterior lighting on all night, consider doing so only in areas that can be easily be seen from the street and by neighbors. Keeping the lights on in your fenced-in back yard may simply make it easier for bad guys to get in. Light fixtures should be installed relatively high up to make them more difficult to deactivate. To prevent light pollution — and to avoid shining your outdoor lights into your neighbor's house — light beams should be aimed downward. Fixtures with hoods or shields will keep your target area well-lit without shining directly into your neighbor's bedroom. You want motion-detecting lights to quickly and easily alert you that someone — or something — has entered your yard. Thus, your should realize that CFL bulbs take a few minutes to reach full strength. LED light bulbs are a better option here, as they use 60 percent less electricity than incandescent light bulbs, last longer, and emit a bright, natural-looking light. Ultimately, only you can decide if a security system is right for you and your family, as nothing is guaranteed to keep out burglars. But upgraded security lighting can go a long way toward improving your home's security.